Juday Creek is an 18-Hole Championship Course with 5 sets of Tees, Bent Grass Greens, Tees and Fairways and 13-holes with water. A fun and challenging course for all levels of golfers, Juday Creek has been the site of a variety of events include USGA Qualifiers, Business Promotions, Competitive Tournaments and Social Outings. 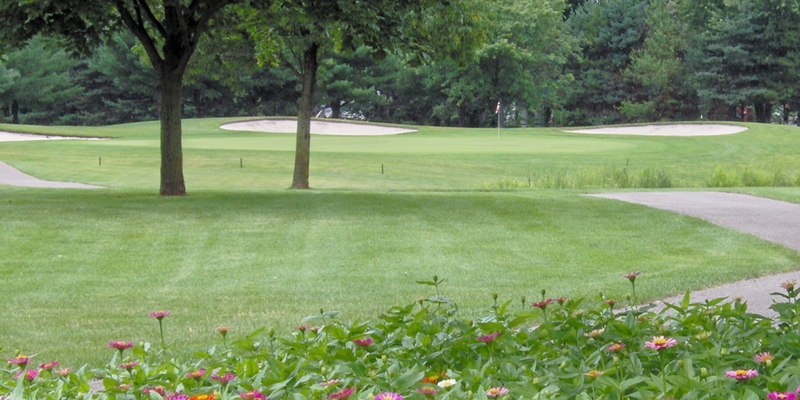 Awarded the 2009 Indiana Golf Course of the Year by the Indiana Golf Course Owners Association. Monday - Friday before 9:00 a.m.
Juday Creek Golf Course is located on Cleveland Road (Elkhart County Road 6) between Mishawaka and South Bend. We are just off the Indiana Toll Road using exit 83. The area surrounding Juday Creek has a lot to offer. The University of Norte Dame is just 10 minutes away, University Park Mall 5 minutes away and Lake Michigan and the dunes a half hour drive. Juday Creek offers a variety of league play opportunites including 3 Men's Leagues, 4 Women's Leagues, a Seniors League and a Couples League. Contact Juday Creek Golf Course at 574-277-4653 for more information and details on holding a golf outing at the course. Contact Juday Creek Golf Course at 574-277-4653. Contact Juday Creek Golf Course at 574-277-4653 for onsite or nearby dining options. This profile was last updated on 01/17/2018 and has been viewed 11,562 times.